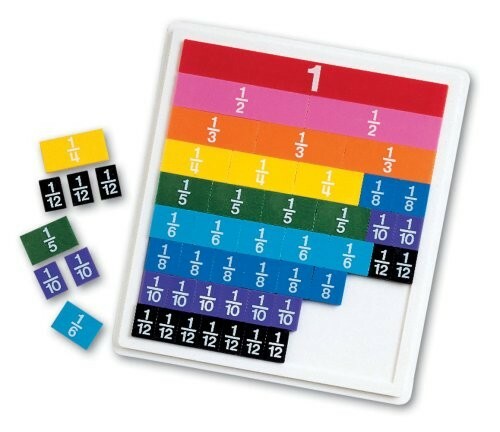 Get hands on with fractions with this great set from Learning Resources! 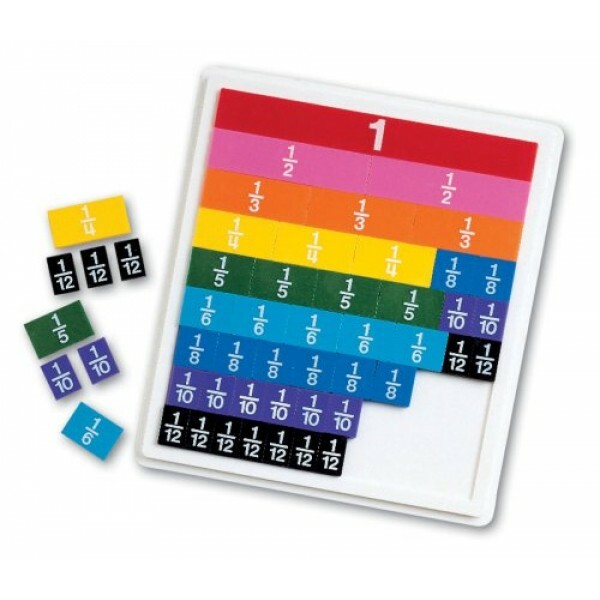 Color-coded plastic tiles let students manipulate parts of a whole to see how they relate to each other. The 51 proportional pieces represent 1 whole and fractional parts down to 1/12 and fit on a plastic tray.